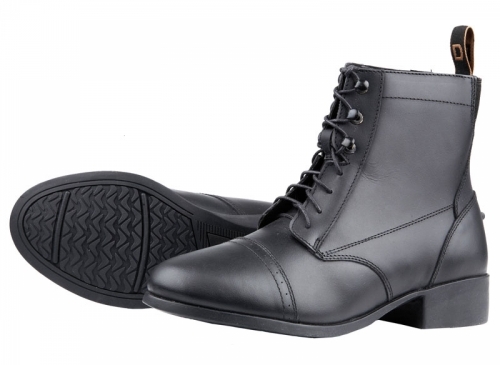 This great boot offers an easy fit adjustment. Crafted with a full-grain leather upper with moisture-wicking lining, the class look and lines of this paddock boot allow just the right adjustment. Dublin footbed delivers moisture-control, contoured heel and arch support for comfort. The full rubber outsole offers in-stirrup traction, while an internal steel shank provides support and stability. Punched toe cap for a finished look.